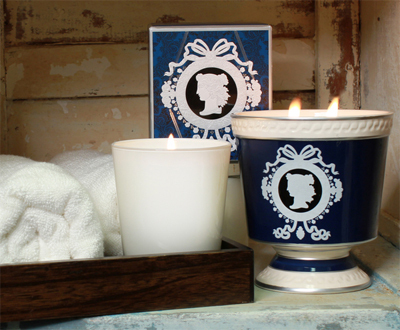 Each Seda France candle is hand-poured and carefully crafted to provide you many special moments. Any eventual irregularity in it is simply a confirmation of its authenticity. We want you to enjoy the long-life of each candle and suggest the following simple guidelines to ensure that enjoyment. The first burn of your new candle is the most important and should be long enough to create a melt pool that goes to the glass edge. Our candles are designed to burn for 2-3 hours at a time which should be adequate for achieving this desired melt pool. Our smaller candles should burn across in less time than the larger candles which may require at least 3 hours for a complete burn pool. Any less time than this may cause the candles to "tunnel" or burn down the center with too much wax unused. And burning for periods longer than 2-3 hours will increase the intensity of the flame creating excess carbon that may smoke. Our candles should not smoke if proper care is taken of the wicks. We suggest trimming the wick to 1/4 inch before each use, keeping the candle out of drafts, and again, limiting burning time to 2-3 hours; you should consider purchasing a Seda France wick trimmer. If at any time your candle wick starts to smoke, please review the previous precautions; it may be necessary to extinguish the candle and trim the wick again. Taking these simple steps will prolong the life of your candle and allow you to enjoy it as intended. If your candle is not allowed to burn long enough to melt the wax to the glass edge and starts to tunnel, you can correct this by burning the candle longer on the subsequent use. However, do not trim the wick when attempting this type of correction and allow the candle to burn long enough to melt the entire surface which may exceed the aforementioned 3 hours. Once the correction is made you must always continue to follow the initial instructions regarding burn times, wick length, etc. All of our wicks are lead-free, and each of our fragrances is matched with the best size wick that will insure the desired melt pool. You may notice a shiny center in some of our wicks which is zinc oxide that creates stability in the wick and allows it to stay centered as the wax melts. Not all of our wicks have this, and as your candle burns, it may be necessary to re-center your wick to maintain an optimum burn. Also, if you notice the flame throws too much in one direction, it might be necessary to re-center your wick and/or adjust toward the unmelted wax. Finally, always place your candles on heat resistant level surfaces and out of the reach of children. Keep your candles free of foreign objects and never leave a lit candle unattended or in a draft.